Twin Lakes, two of the lakes at Mammoth Lakes, Calif.
Mammoth Lakes, Calif., has an elevation of 7,880 feet and higher and a population of just over 8,200. 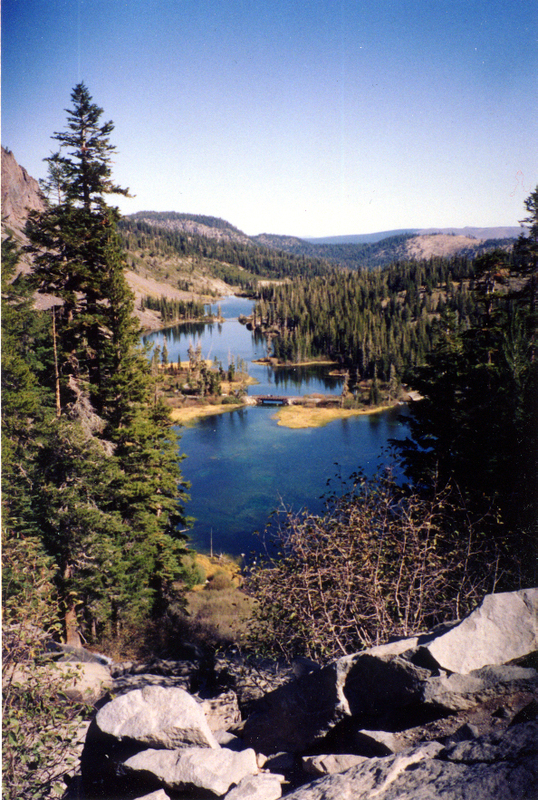 Mammoth Lakes began as a gold rush town in 1877. By 1880 the mining company had shut down and the population dwindled from a peak of 1,500 to 10. 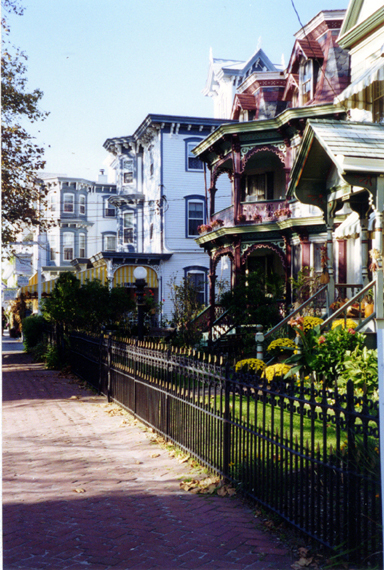 Nonetheless, by the early 1900s the economy of the town shifted from mining to logging and tourism. The first people to inhabit the area were the Mono people and the county is named after them. 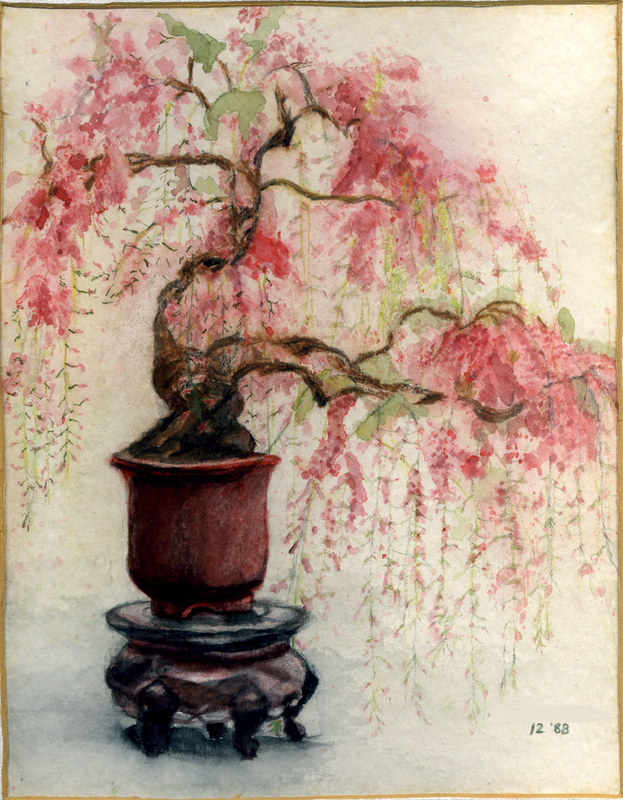 (Mono is pronounced with a long “o”.) 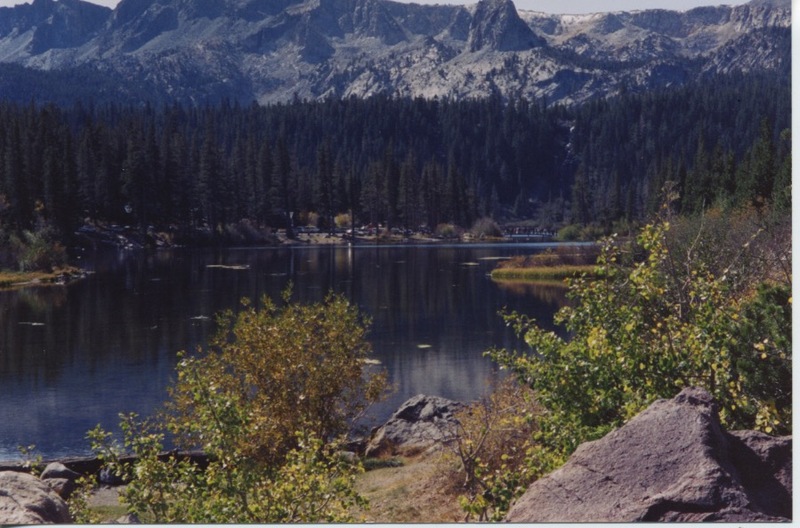 Mammoth Lakes is located in the Eastern Sierra Nevada Mountains near Yosemite National Park. 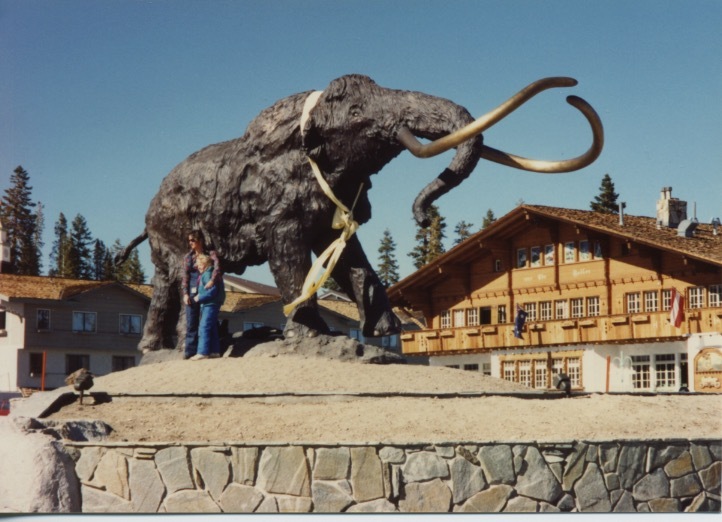 The town is named for the woolly mammoth, remains of which have been found in the area. It is believed the woolly mammoth became extinct about the time the glaciers receded at the end of the last Ice Age 10,000 years ago. 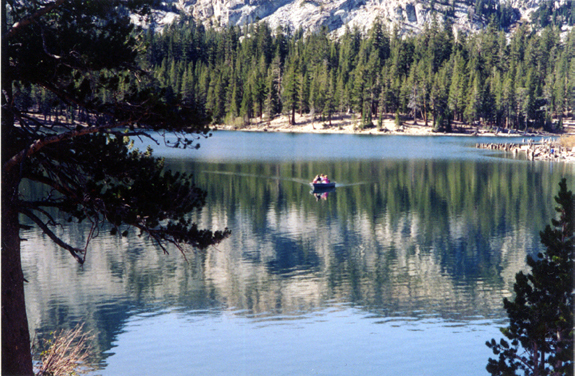 A motorboat on Lake Mary. 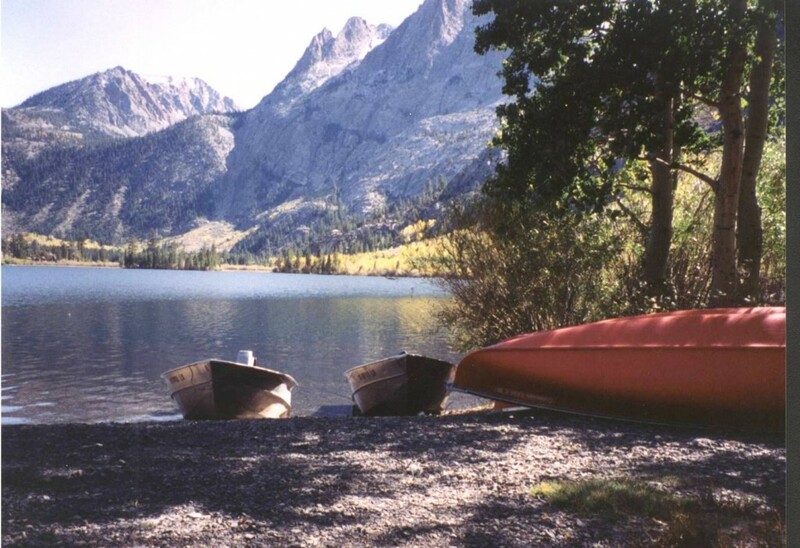 Fishing boats for hire at Silver Lake. 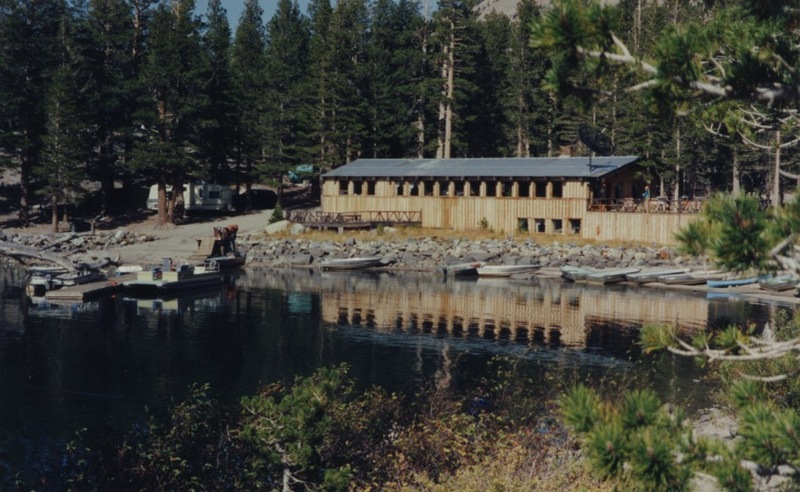 The Mammoth lakes are a chain of glacial lakes above the town in the Inyo National Forest connected by plumbing — a system of pipes and faucets running down the mountainside regulated to provide water to the town and to California. It is somewhat disconcerting to be hiking in the Inyo National Forest when you round a bend to find a waterfall and, then, round the next bend to find a lake with big faucets, gauges and pipes leading to the next lake. 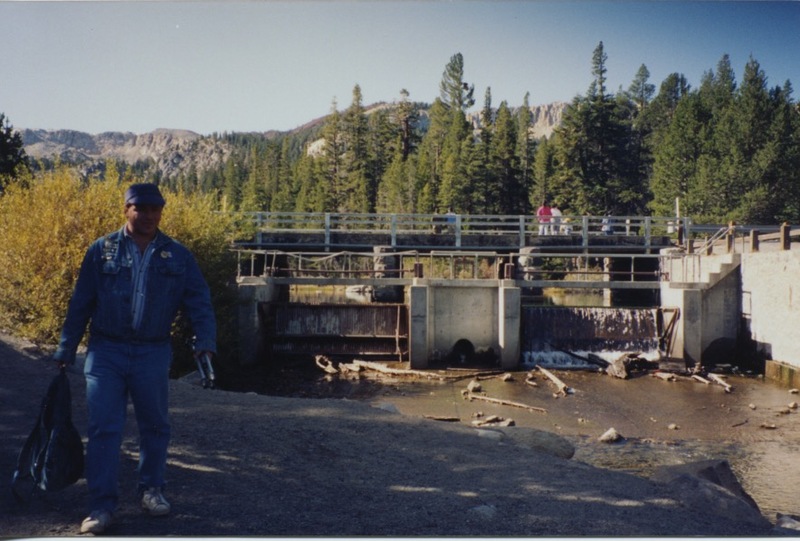 My friend Roland standing at Lake Mamie Dam, elevation 8,898 feet. 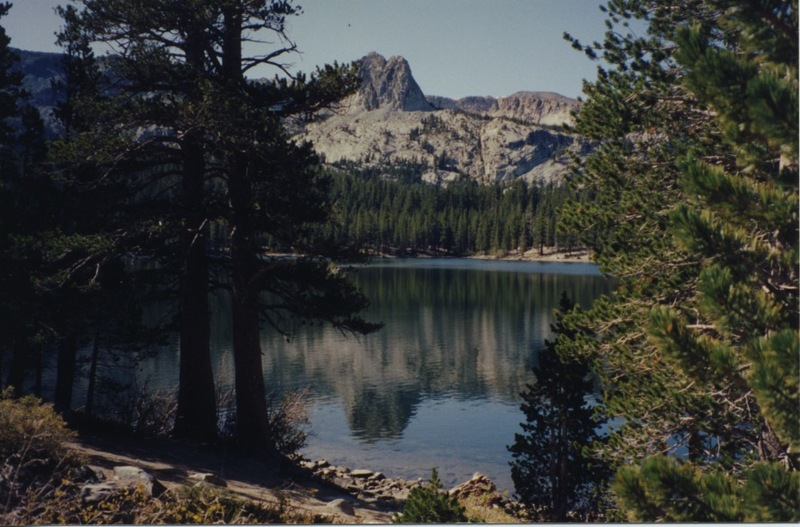 Lake Mamie and Crystal Crag. 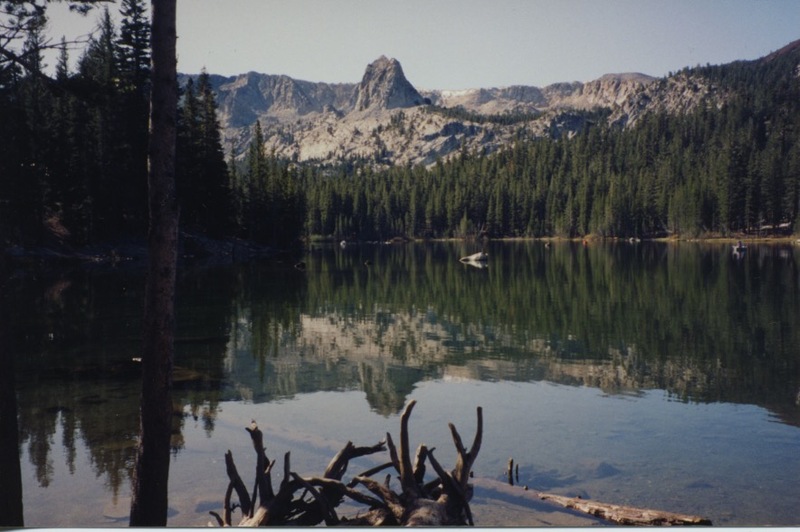 Lake Mary and Crystal Crag. 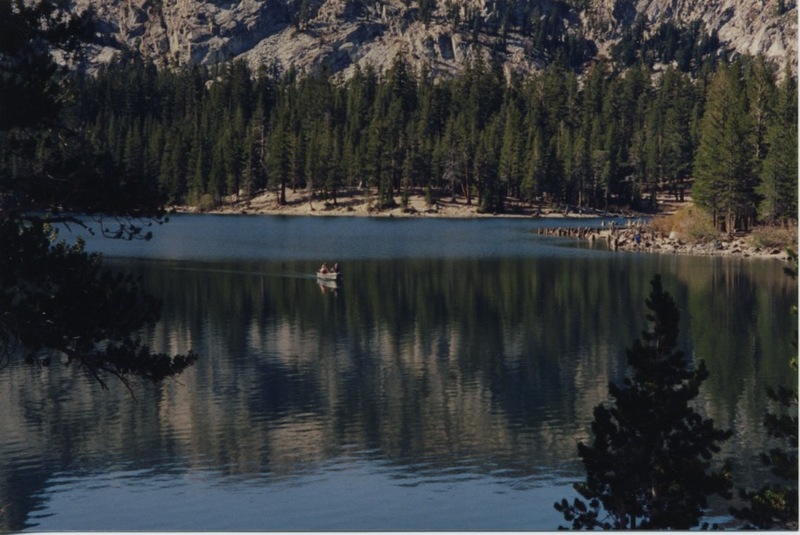 Twin Lakes and Crystal Crag. 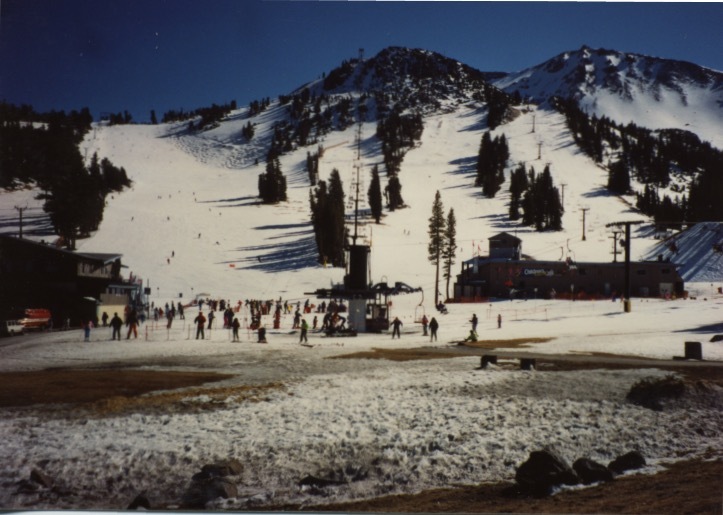 Mammoth Mountain Ski Resort is the primary economic sustainer of the town. Mammoth Mountain is a lava dome complex located in the Inyo National Forest. 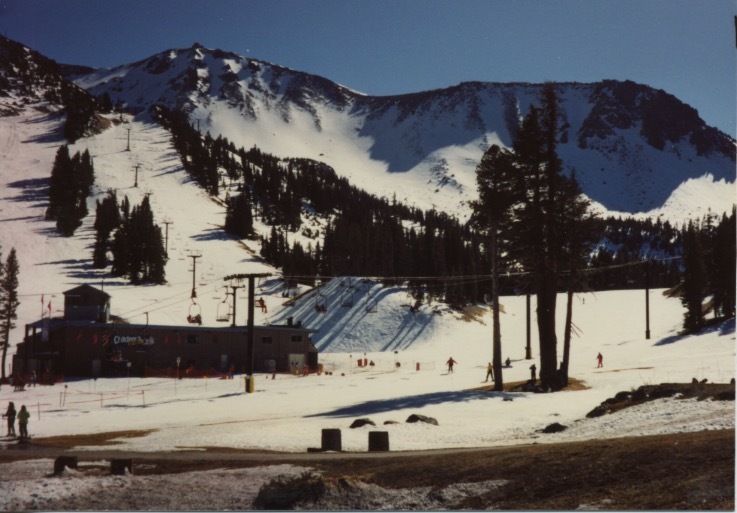 Dave McCoy founded Mammoth Mountain Ski Resort, when he, a member of the Eastern Sierra Ski Club, noticed that Mammoth Mountain consistently held more snow than the surrounding mountains. He borrowed a portable tow rope from the Ski Club in 1941 and the skiers hauled themselves up the mountain and skied down. 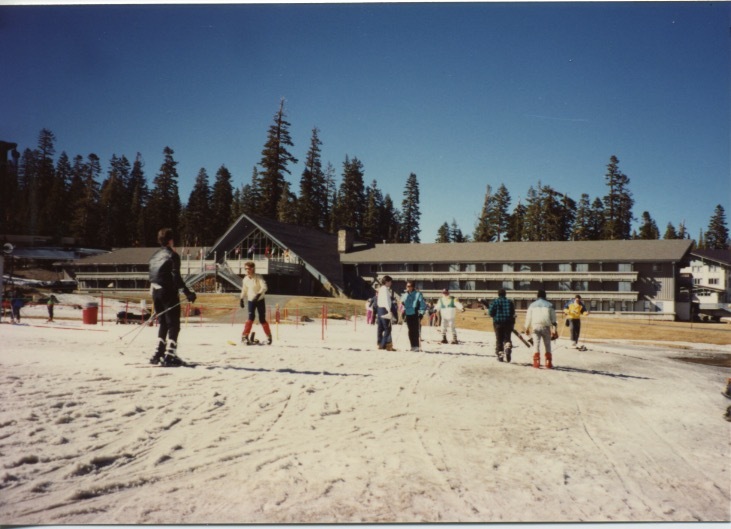 The first ski lift was built in 1955.